What are Costa 580 Lenses? 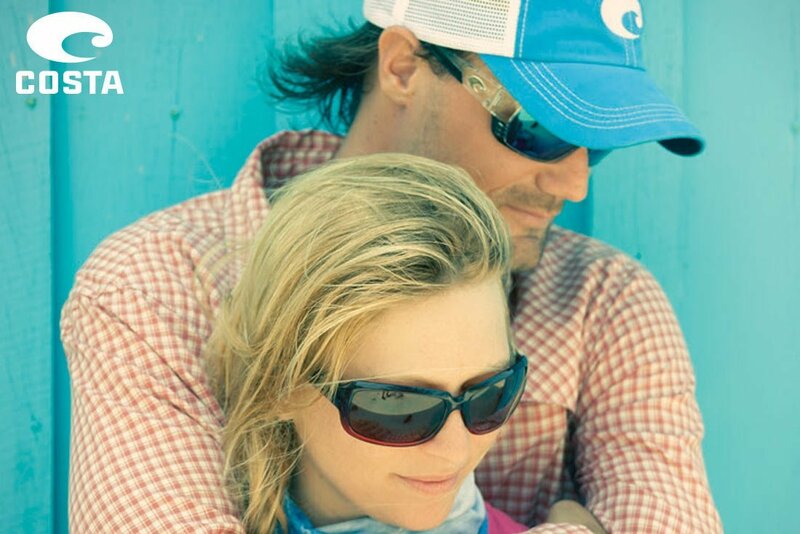 The Costa Del Mar Permit Sunglasses are available with the popular 580 lenses. Among the most popular brands of sunglasses for outdoor enthusiasts and fans of the water are Costa Sunglasses—previously Costa Del Mar. 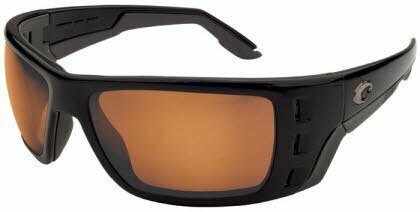 This brand of sunglasses is especially favored by men and women who enjoy the sport of fishing, made with such strategic engineering and patented Costa 580 lens technology that you will definitely gain an advantage when fishing in all types of water. These sophisticated and comfortable sunglasses are available in different styles and models. What’s the deal with Costa 580 lenses, and how do you choose the right options? Let’s take a look at the technology behind Costa’s sunglasses and prescription lenses. All Costa lenses contain a polarized film layer within the lens for exceptional glare blocking for better vision. If you are looking for the ultimate lenses that are high tech and deliver performance, then the 580 lens is your perfect match. Costa Del Mar Sunglasses made with the 580P (plastic) and 580G (glass) lenses will change the way you see the world. The purpose of this lens is to filter out yellow light which is what usually distorts the clarity and contrast of vision. These high tech polarized lenses were designed to enhance red, green and blue light levels while eliminating yellow light. This perfect combination results in the purest of vision, seeing deeper colors as well as an ultimate sharper contrast. There’s a Costa lens color for every pursuit—for everything from bright light and high glare to low light conditions. What color Costa lenses to get depends on your activity—try the Costa 580G green mirror for high contrast on the water or the 580P in gray for everyday use. And, because Costa’s history is deeply rooted in the angling world, there’s a Costa lens color intended for every fishing senario and light condition. Costa 580 lenses are designed to increase contrast, reduce glare, and offer enhanced visual acuity in any circumstances—on open water, inshore, on land, or in the car. Glass and plastic lenses each have benefits and drawbacks, and fans on either side. 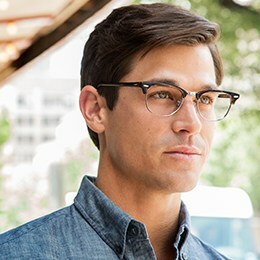 Costa 580G lenses are made of glass and offer superior clarity and scratch resistance. Costa’s glass lenses are thinner and lighter than other polarized glass lenses, and the crisp image they provide will blow you away. However, glass lenses may shatter if dropped because they are not impact-resistant. While some prefer the sharp image offered by glass lenses, others are solidly in plastic lens territory. The Costa 580P plastic lenses are made of lightweight, durable polycarbonate for impact resistance. Not only do they block UV rays and glare, they protect your eyes from projectiles like kicked-back flies. Though some polycarbonate lenses are more likely to scratch than glass lenses, Costa’s 580P lenses include a scratch-resistant barrier to keep them in top shape. If you wear prescription lenses there is no need to worry as Costa Del Mar Prescription RX Sunglasses are also available. The development of 580 lenses included special considerations for prescription sunglasses—and as an authorized Costa prescription dealer, we can help you outfit every adventure in RX Costa lenses. These sturdy glasses were designed for life on the water—but there is a style for every application. Nylon—made with eco-friendly bio-resin—as well as acetate, metal and rimless frame options are available. Costa frames are made with flexible stainless steel hinges that can stand up to rough use and they won’t bend, warp, or rust. Costa sunglasses are perfect for fishing, hiking, biking, driving and more. Get more out of every trek with glasses made from corrosion-resistant and hypoallergenic materials, with non-slip grip at the bridge and arms, and the perfect 580 lenses. On water or on land, Costa sunglasses with 580p or 580g lenses are built to perform. Shopping for Costa Del Mar Sunglasses has never been easier—shop for these amazing sunglasses online, right from the comfort of your own home. FramesDirect.com > Blog > What are Costa 580 Lenses?